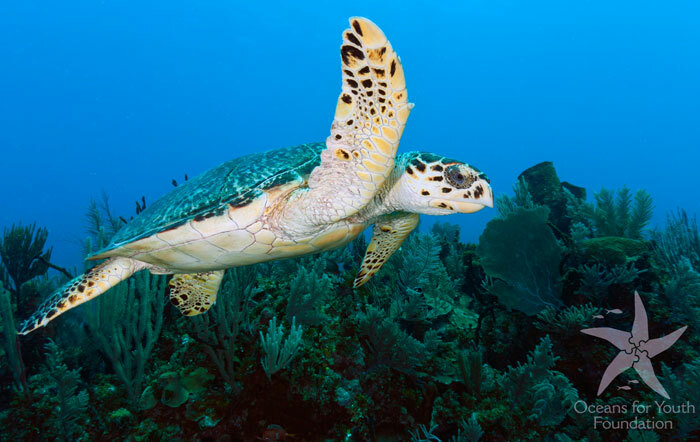 This fantastic Cuba snorkeling trip offers some of the very best snorkeling in the Caribbean. 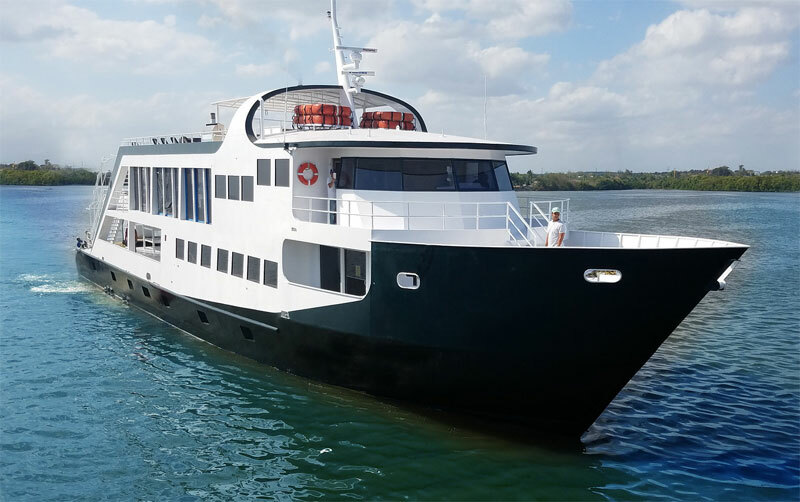 Join this snorkel only group aboard a 135 foot world-class liveaboard yacht, that will explore the extraordinary reefs of the Jardines de la Reina (Gardens of the Queen) National Park, in Cuba. 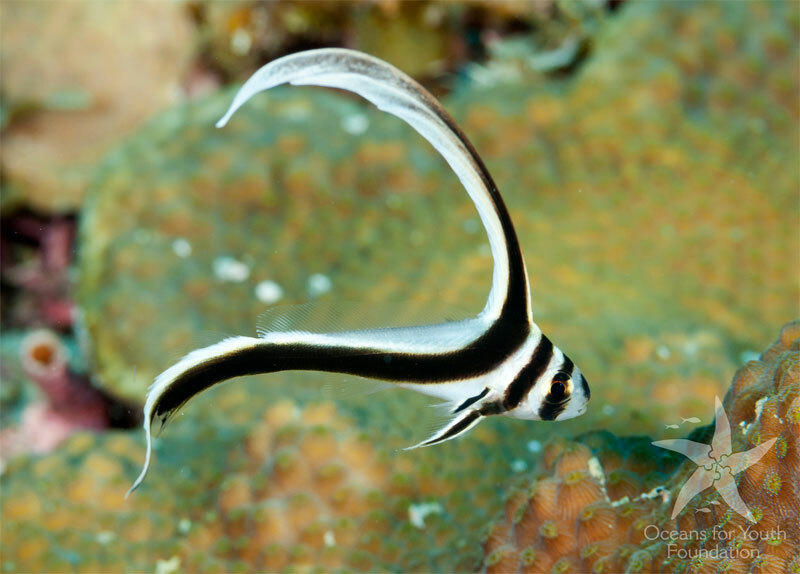 Stunningly healthy reefs, abundant reef fish populations, larger fish species and pelagic viewing opportunities are just some of what you can look forward to. And if you are traveling from the U.S. or Canada, it is a short flight. 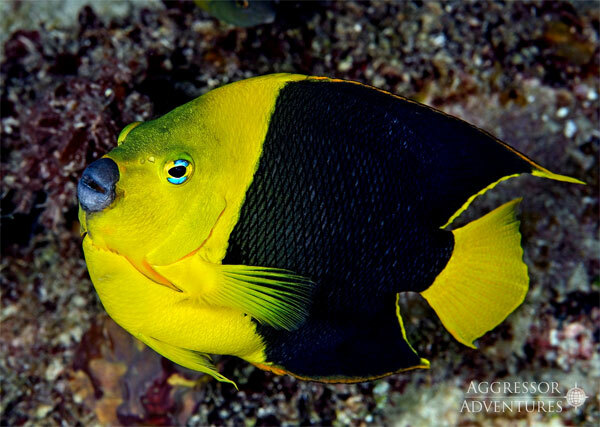 This seven day liveaboard adventure utilizes the Jardines Aggressor II as your comfortable home base on the water. 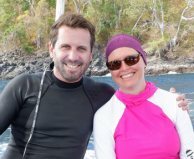 You will be part of a 22 snorkeler group plus two guides from Ben's team. Snorkeling in the Gardens of the Queen you will have a chance to explore beautiful shallow coral gardens, alive sea grass beds, unique mangrove channels full of marine life, and see larger fish species and pelagics, like sharks. In the evenings there will be discussions and presentations by your Cuban hosts about the successful ongoing conservation of this magnificent ecosystem. If you are interested in extending your trip, to explore the very unique culture and other national parks of Cuba, a four day land tour extension is in the works. Ask Ben's team about this option in the contact form below. Where Is the Gardens of the Queen National Park, Cuba? The country of Cuba is located in the Caribbean Sea directly south of the Florida Keys and the Bahamas. 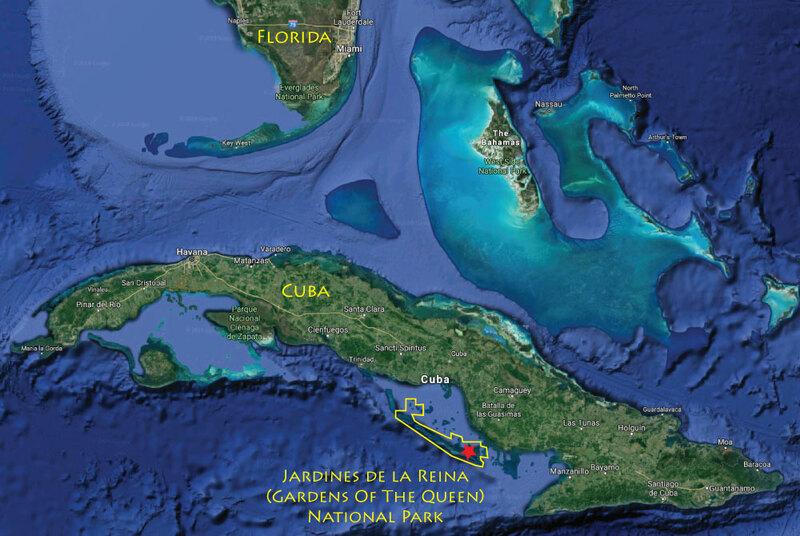 And Jardines De La Reina (Gardens of the Queen) National Park is located 60 miles south of Cuba. It's an easy destination to get to from North America. There are many direct flights from North American hubs to both Santa Clara (SNU) and Camaguey (CMW) airports. Flight times can be as short as 1-2 hours. From the UK, flights connect in North America and continue on to Santa Clara Airport (SNU) in Cuba. 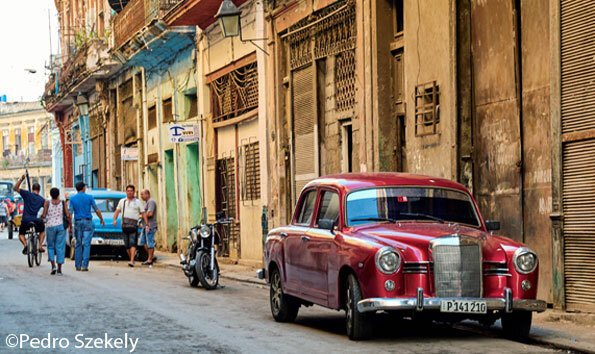 What Will This Cuba Snorkeling Trip Aboard the Aggressor Liveaboard Be Like? The Gardens of the Queen National Park encompasses a chain of 250 pristine coral and mangrove islands, over 150 miles long. 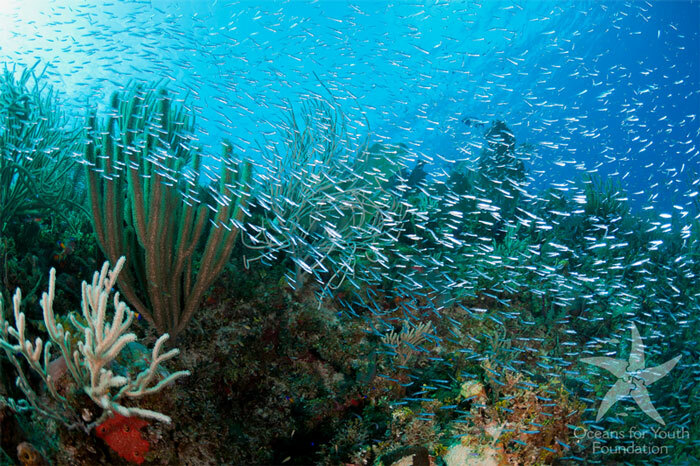 It is the largest protected marine park in the Caribbean, and since its creation in 1996 the fish populations have increased by up to 30 percent. Mangroves provide a healthy nursery for fish, and massive bait balls support big populations of larger fish and sharks. 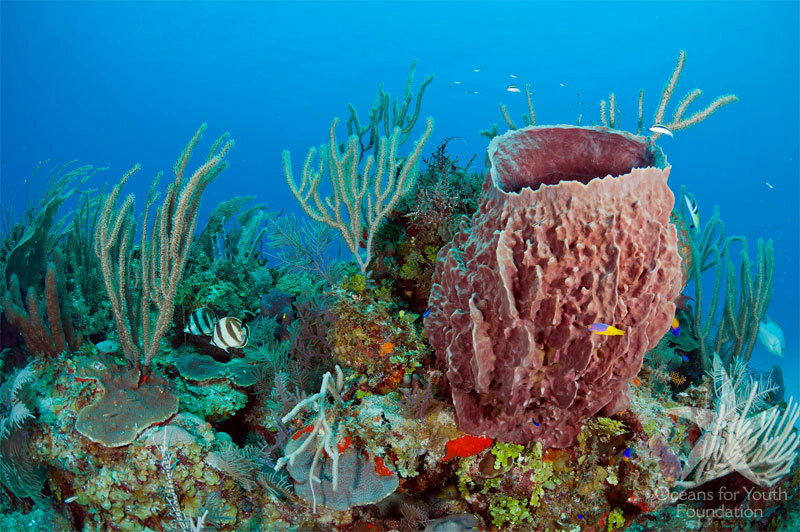 The park is widely considered to be the home of the healthiest reefs found in the Caribbean. Included in your trip will be a minimum of three 60 minute snorkeling sessions per day with lots of flexibility for more, including night snorkeling opportunities. 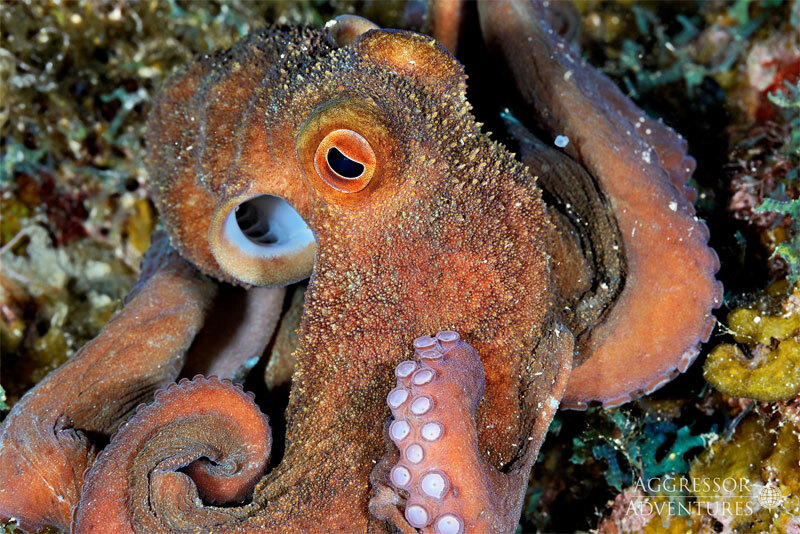 You can expect a range of underwater topography including fringing coral reefs where you will find colorful reef fish and critters along with large pelagics. 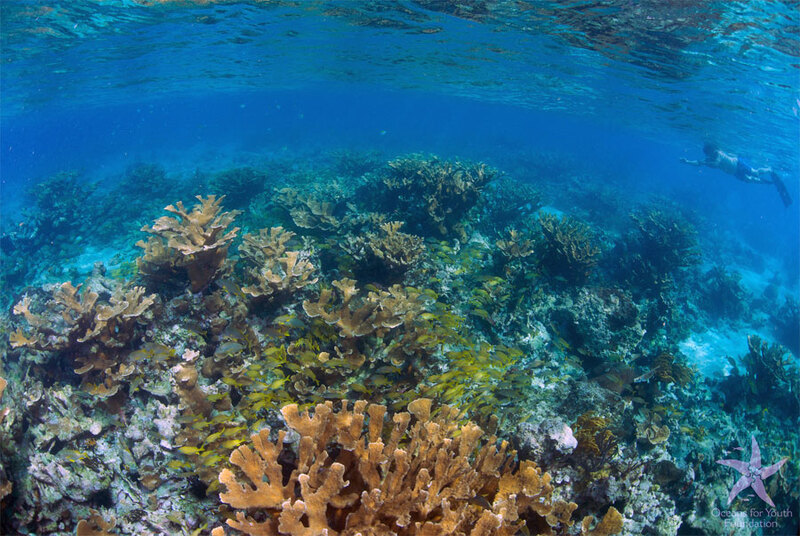 The healthy reefs have both soft and hard corals including beautiful sea fans. 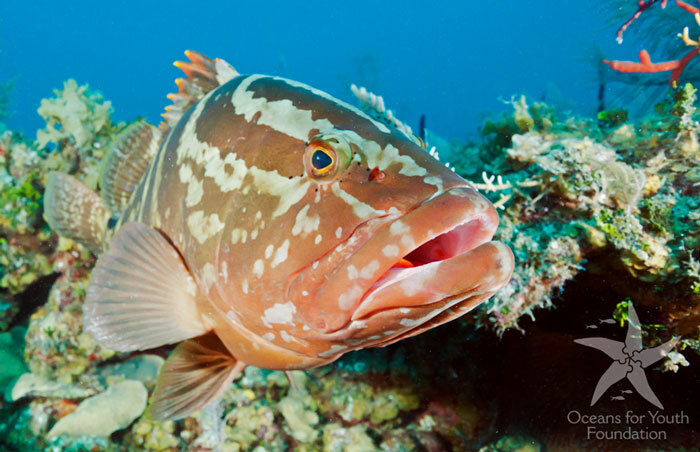 It is likely you will come across immense Goliath Grouper, schooling snapper, and beautiful angelfish. 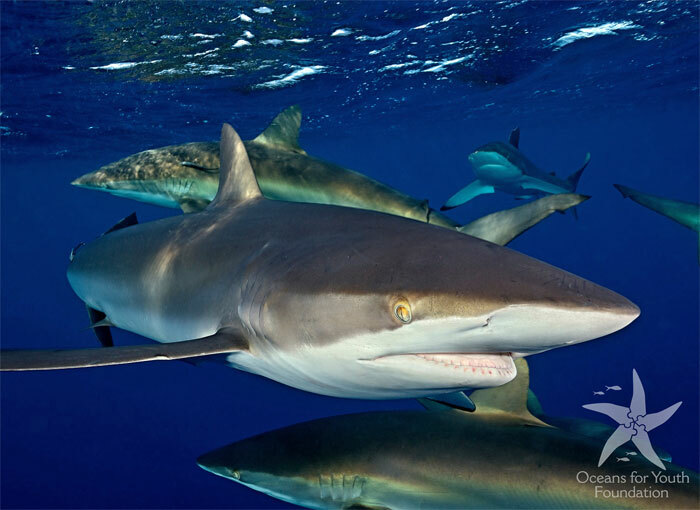 You should encounter sharks as well as eagle rays and Hawksbill turtles, too. 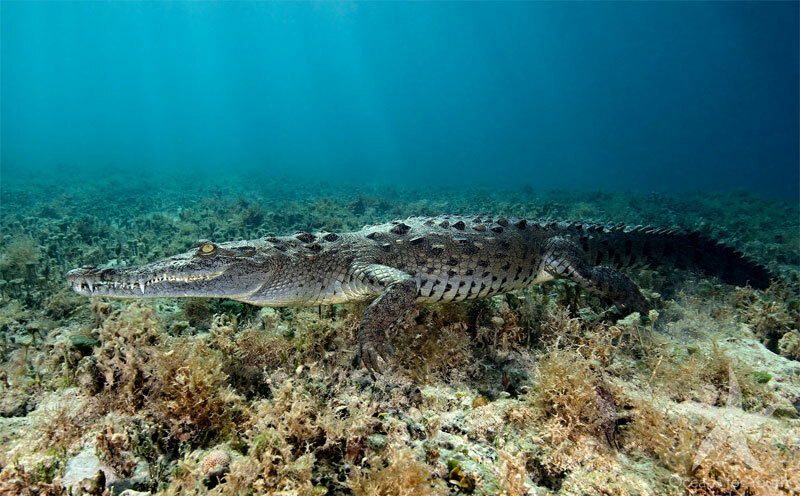 And yes, in the mangroves you may have the opportunity to snorkel with crocodiles, a truly unique experience. 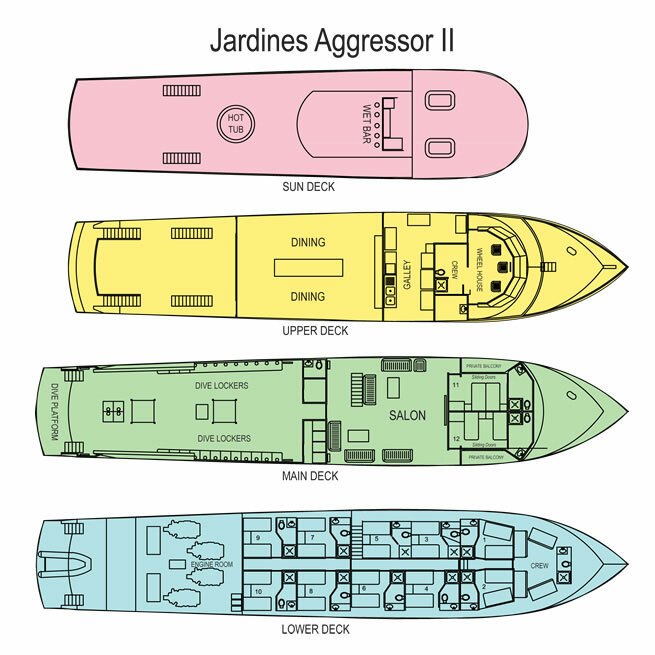 Your temporary home for this trip will be the Jardines Aggressor II. It is a 135 foot liveaboard yacht with 12 guest cabins. 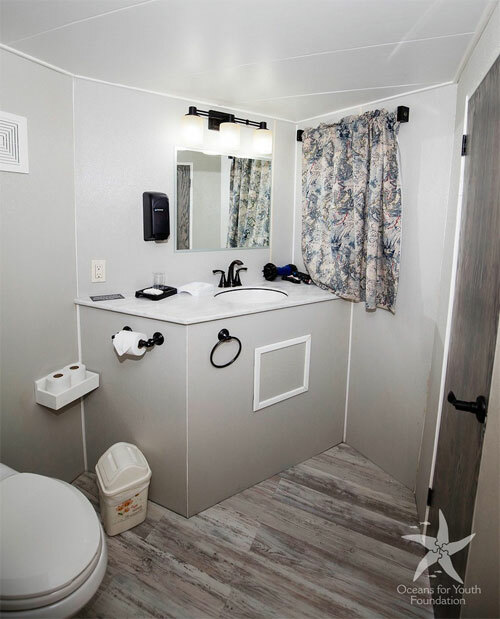 Each cabin has air-conditioning and a private bathroom with a shower. 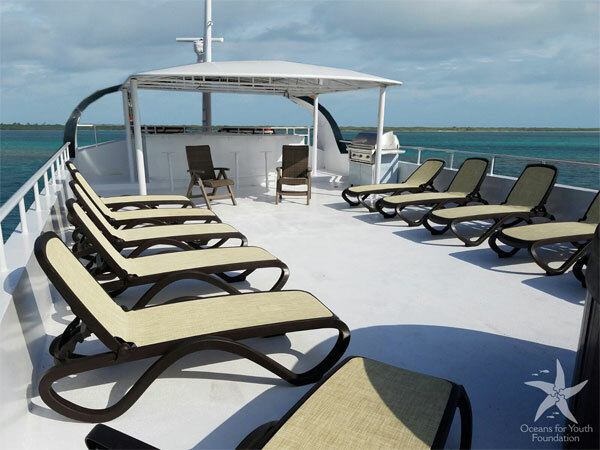 10 deluxe cabins are on the lower deck and two cabins with balconies are on the main deck. Room requests are taken on a first come first served basis. All meals are included and prepared by a chef. The menu offers a variety of international options and courses and can be altered for your dietary needs (vegetarian, vegan, gluten-free, etc.). Soft drinks, beer, and wine are also included. 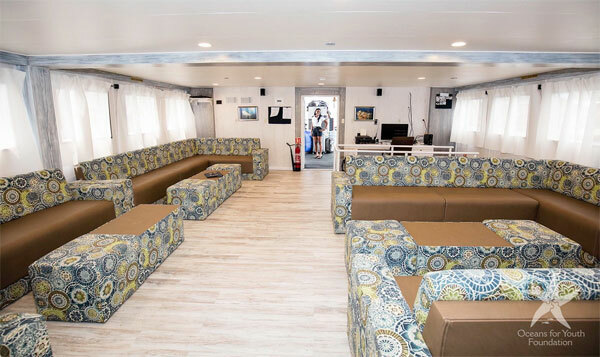 The ship features a large lounge, a roomy sun deck, a bar, and a hot tub. There is satellite internet service available. The evening presentations will take place in the lounge. Daily snorkels will be made either from the rear end of the main deck or from a tender with ladders into the water. We expect this charter to fill quickly. Your spot is reserved with your deposit of $400 US per person. Contact Ben below for deposit instructions. May 23-30, 2020 - Available. 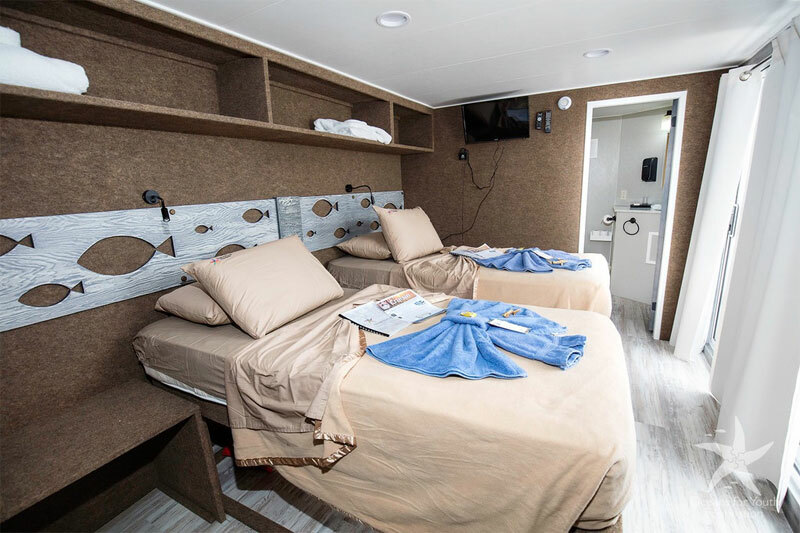 May 30 - June 6, 2020 - One double occupancy cabin available.